How can i put everything on 1 form? Better question, how do i configure the height of the form? I have many things i need to list and jotform is only allowing a few options on the page at a time? You can insert page breaks to divide long forms into several pages. Moreover, when page breaks are used, users need not complete the entire form in one shot. Regarding the form's height, that is determined be its content. The more fields you add, the longer it should get. 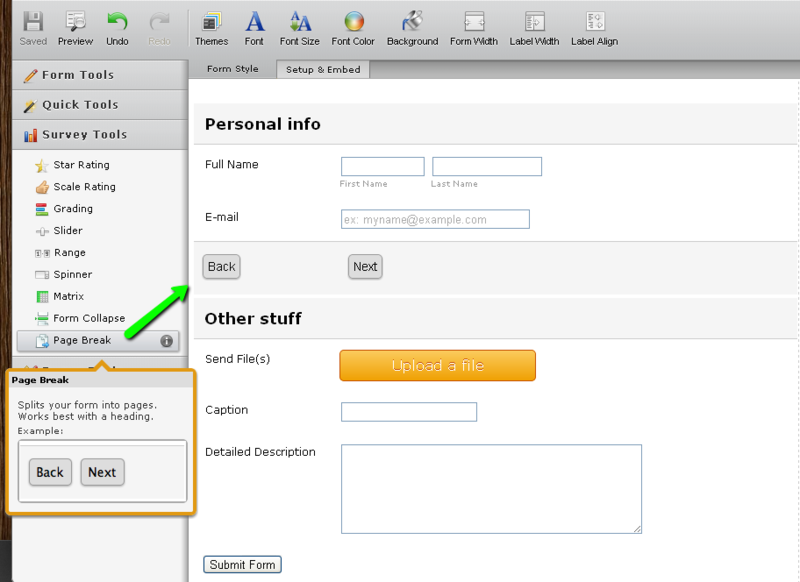 So, I'm somewhat curious about what you mean by the editor only allowing you to put a few things on the form. That ought not to be happening. Which browser are you using? Ok thanks, i got it!